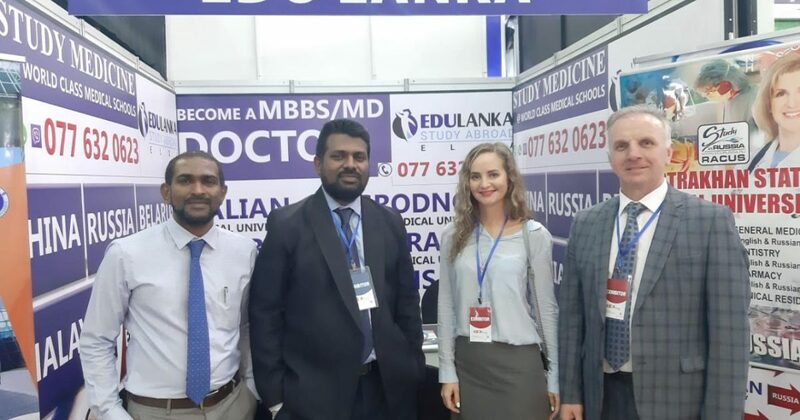 Home > Higher Education > STUDY MEDICINE IN ENGLISH MEDIUM AT ASTRAKHANSTATE MEDICAL UNIVERSITY ; A Medical School with the Lowest Tuition FEE for a Sri Lankan! Astrakhan State Medical University is the oldest medical universities in Russia and is recognized by the World Health Organization, Sri Lanka Medical Council and the World Directory of Medical Schools. The university was founded in 1918 and it is the only state university in Russia where a number of academic programs, including those in General Medicine, Pharmacy and Dentistry are taught in Russian, English and French mediums of instruction. Quality education in Russia in general and at ASMU in particular meets all of the requirements of today’s international labor market. The system of quality management implemented in the university satisfies the international quality standard ISO 9001.2008 and the national quality standard GOST R ISO 9001-2008. It is ASMU’s priority to train more specialists from foreign countries, and the university already has its graduates practicing in more than 100 countries around the world. • 2009 :European Quality Certificate For outstanding achievements and high quality of training. The University academic staff consists of honored scientists and academicians of the Russian Federation, honored workers of public health and sport, honored doctors and recipients of the Russian Government Award in Science and Technology. The University professors are annually awarded with gold and silver medals for advanced Research and Development in the Moscow International Salon of Innovations and Investments. The University is a ground for an active theoretical and clinical research and resolution of key public health issues. The research and recommendations of the ASMU Technology and Innovation Council are widely implemented by various medical institutions. International cooperation is one of the most significant activities of the University. The first international students came to study medicine abroad at ASMU back in 1992. Nowadays, the ASMU Program for Innovation Development includes the major trends of international cooperation. 11 universities from 9 countries of Europe, Asia and America are in partnership with ASMU and the university hosts more than 10 large international events every year. 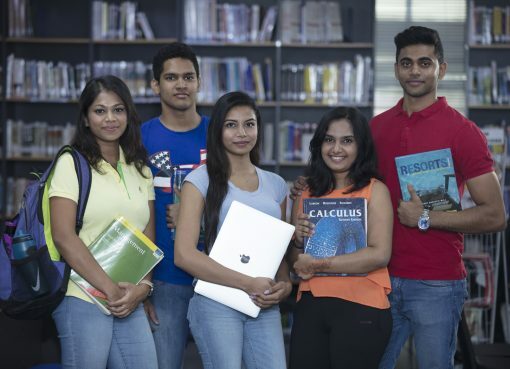 Students from all continents are currently studying at ASMU. ASMU has 6000 students every year, including 2000 international students from 70 countries came to this university because of high quality education in Russia. A key principle of the training provided at the university is to combine theory with practice. From the first month itself, students are fully immersed into the profession. Teaching is available in English and French mediums of instruction. Those who intend to study in Russian may take a Foundation course, which includes Russian language, Chemistry, Biology, Physics and Information technology, in order to be admitted to the 1st year of the specialty of their choice. The curriculum implies full immersion into clinical practice. Theoretical classes are reinforced by practical experience and regular work in the medical institutions cooperating with the University. For example, the university chairs in cardiology and cardiovascular surgery are associated with the “Federal center of cardiovascular surgery”. The University offers very comfortable living conditions. Students are accommodated in a modern building with convenient rooms and public areas. The infrastructure is such, that students feel at home. Students may pursue sports and represent their faculty in university competitions. There are several workshops whereby students may develop their vocal, dancing or painting skills. University celebrations and festivals offer a great opportunity to perform on stage and express oneself artistically. Students also have the opportunity to discover hidden talents by trying their hand at journalism and being associated with the University newspaper “Alma mater” where they may write about their country and cultures. The University supervises both, the academic and the extracurricular life of its students and maintains contact with their parents. University employees are always available to solve any issues concerning life or studying in Russia. You will receive a Russian State diploma certifying your degree and qualification. You may also get an additional document – “Diploma Supplement” on demand, which will enable you receive foreign credentials evaluation in any of the 47 European and other countries that are party to the Bologna Agreement on mutual recognition of educational documents, to pursue further education or work in any of these countries. You will acquire a professional medical education at an affordable price, with best correspondence of price and quality. Your education is partly sponsored by the Russian government, which enables the university to reduce its fee and makes it possible for students from different countries and varied backgrounds to study at the university. You will get a high quality medical education that is constantly monitored by the University. 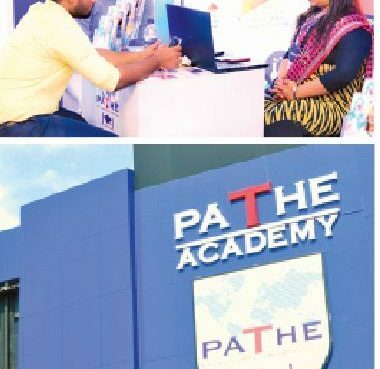 New programs are developed every year wherein the current demands of the public health sphere and prospective fields of research are taken into consideration. During your studies you will be fully immersed in the medical practice. Your theoretical knowledge will be reinforced by experience and regular work in the university clinics. You will study and live in a friendly and comfortable environment. The university campus has everything for your convenience. You may discover your academic potential and develop your artistic skills. There is a Creativity center, an Arts center, an Intellectual club and an informational center for students. You can always stay fit by visiting our sports club. A warm and sunny climate, spectacular natural beauty and the rich culture of the region will fill your life up with new impressions and knowledge. New friends, active communication, vivid events and travel will make your student life an unforgettable experience. Astrakhan is located in the South of the European part of Russia where Europe meets Asia. Here, one may truly feel the unity of the Russia’s multinational population, where various cultures and religions coexist in peace. Astrakhan has a rich history and traditions. Here, you have the opportunity to experience Russian hospitality and generosity vividly. Local cuisine combines the best from the Western and Oriental traditions. Astrakhan is famous for its natural wonders. The waters of mighty Volga River meet the warm Caspian Sea. When compared with most parts of Russia, Astrakhan has the most number of sunny days per year and a boundless blue sky. 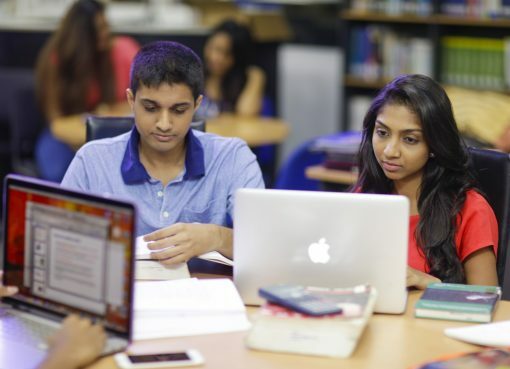 Ready to Explore a New Path after A-Levels? ; ANC Gives Your Future a Jump Start!